Wow, this book was not what I expected at all. I expected Haden = Hades and for this book to follow a Greek mythological storyline. That is not what I got at all. I was shocked that this book was actually about demons and not gods and goddesses, but the story was well done. The book was relentless, the action literally never stopped- even up until the very last page. The relationship between Theia and Haden screamed Twilight to me (and there was a very cheeky Twilight joke thrown in that made me want to high five the author). I wasn't put off by their romance though, considering that the male protagonist is a being that has very.... lustful tendencies. Whew, this book was steamy! I loved that the author made me fall in love with the main characters, but REALLY fall in love with the other characters- they are not replaceable or unmemorable- the entire cast of characters was well developed. 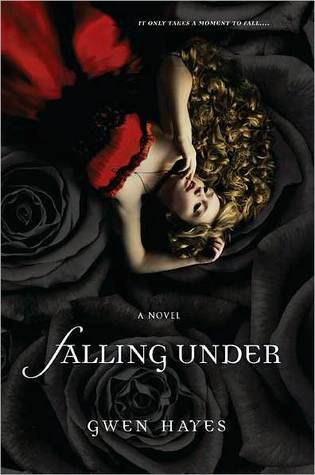 This was the first book in the Falling Under series, and the first book was literally left in the middle of a scene- I am looking forward to seeing what happens to the characters. Fans of Twilight or Twilight-esque books will enjoy this novel.